Brought to you by St. John the Evangelist School. 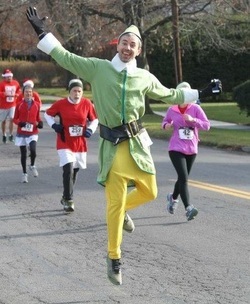 Started in 2011 as the first Santa Run in New York state, the run is a 5k through downtown Binghamton that brings together hundreds of runners to celebrate the holiday season. Join us on Sunday, December 9, 2018 registration starts at 9:00am with the race starting at 11:00am. 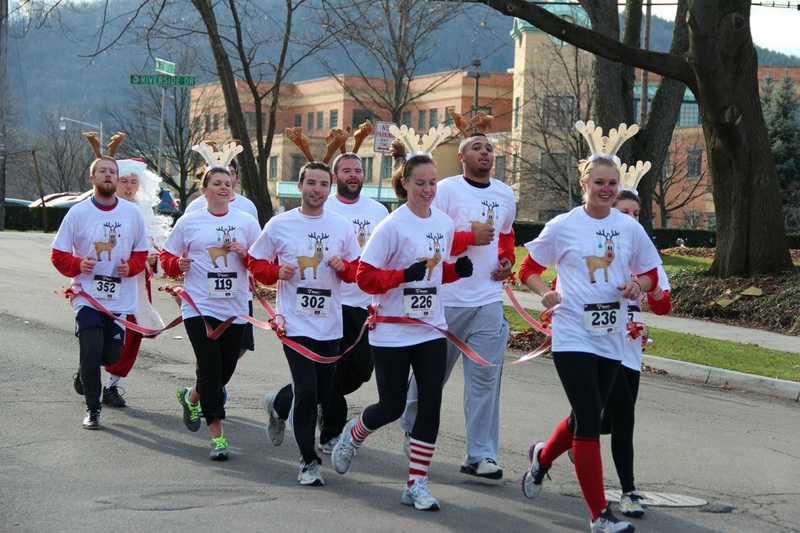 The "Binghamton Santa Run" is a 5K Run/Walk that is fun for the whole family. We encourage you to dress up as your favorite holiday character or tradition; Santa, Mrs. Claus, the Grinch, Reindeer, Elves, Dreidel, Menorah, Ornaments, Tree, Candlestick. The ideas are endless and we even give prizes for the best costume! 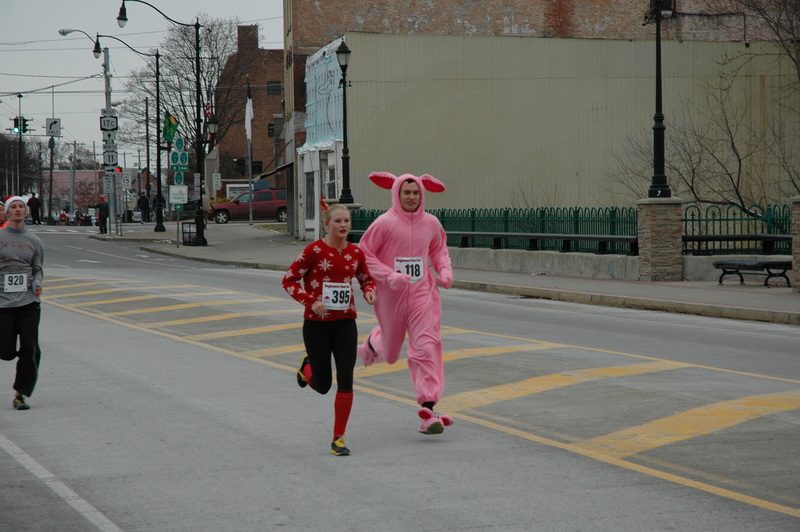 The "Binghamton Santa Run" is fun for all ages and abilities. 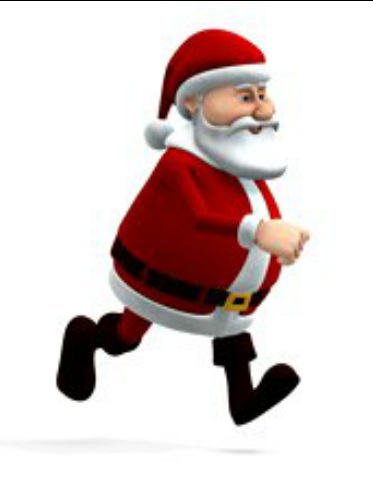 There'll be a 1/4 mile kids run for all of Santa's Little Helpers and future marathoners. So join us as a group! Bring the whole family! There'll be refreshments and holiday music at the DoubleTree by Hilton Hotel as well as the opportunity to enjoy some of downtown Binghamton's establishments for some hot chocolate or light lunch after the race. Either way, competitive runners to casual joggers as well as grandparents to kids alike will all enjoy an entertaining run through downtown Binghamton. Presented by your local Toyota Dealers! receive a Long Sleeve Santa Run Shirt, Picture with Santa and Santa Hat ! !